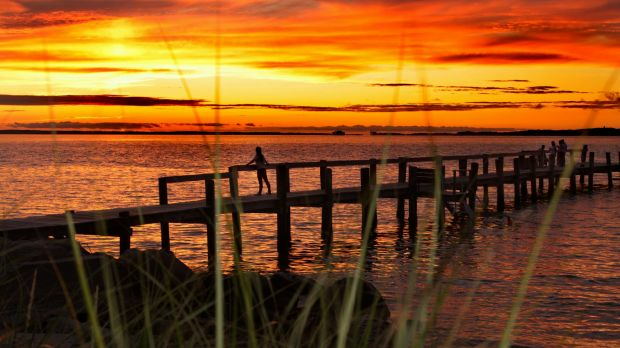 A world away from Long Island's celeb-haunt of the Hamptons, or neighbouring, show-off billionaire island Nantucket, Massachusetts' "home of millionaires" is where celebrities come to get away from the rat race of New York and fly under the radar. I'm sure that's what former senator Ted Kennedy was thinking, anyway, when in 1969 he decided to rent a small cottage for a party on the secluded Chappaquiddick Island, a short ferry ride from Edgartown, a more exclusive town in the east. Kennedy, married with three children, decided to leave the party early with a 28-year-old woman named Mary Jo Kopechne, both probably a few sheets to the wind, took a wrong turn and drove into a pond. Kennedy managed to swim to safety, leaving Kopechne in the car to drown, and did not report the incident to police until 8am the following day. Try as I might, it's all I can think about when I'm staring across at the Potteresque-named island from Edgartown, with its grand white whaling mansions stretching out on either side of me. The Kennedy family's run of bad luck associated with this island did not end there. Thirty years later, John F Kennedy jnr, a trained pilot, who made regular trips between New Jersey and Martha's Vineyard, was flying himself, his wife and her sister to the island on a hazy night when his plane plunged into the ocean, killing all three aboard. It's hard not to delve into the history of the Kennedys when you're in this part of the world, as the Kennedy Compound is located in Hyannis, just across the Vineyard Sound on Cape Cod, and the family spent a lot of time here. 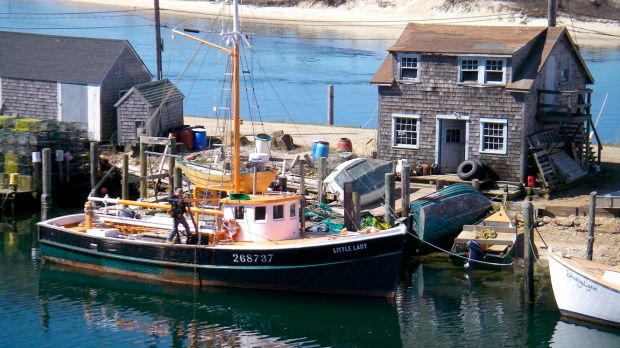 While the Kennedy mysteries haunt this part of Martha's Vineyard, the delightful town of Menemsha has a star quality of its very own. The tiny picturesque fishing town is built around a "pond" – or a large sheltered inlet of water – better known as Amity Island in the Jaws movies. 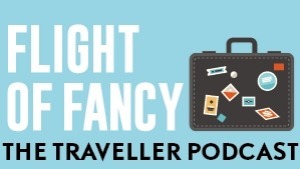 Today its biggest attraction is what's coming out of those tiny, shingled huts and the bobbing fishing boats in the harbour and into my own jaws – excellent seafood, and notably, lobster. Locals argue which of the fish markets is best, but Larsen's simple setup feels like the real deal as people queue out the door before making their way through to the harbour, to munch on fresh, sweet lobster on toasted brioche rolls with salty, melted butter and a side of clam chowder, watching the fishing boats bring in the next load. In the background, you can hear the clang-clang-clang of the buoy in the Menemsha Pond, just like it did in the Jaws movies. Amy Schumer's chef-husband Chris Fischer owns a small produce market here, and a large farm in nearby Chilmark. This is also home to a legendary chocolate factory, Chilmark Chocolates, that not only sells delicious chocolates by the pound, but employs disabled children from around the island to produce them. Which brings me to another beautiful point about Martha's Vineyard – fresh produce here is king and you will not find any chain stores. Oak Bluffs, a larger town on the opposite side of the island, feels a bit less formal than Edgartown. While locals relax on the boardwalk on a Sunday afternoon over drinks watching live music, you can wander its main street in solitude, sampling Mad Martha's local homemade ice-cream or beer at Offshore Ale, the cosy brewpub that has peanut shells covering its floors. 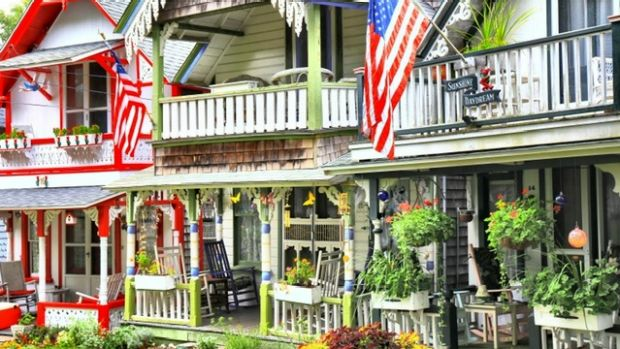 It's also home to the cute and colourful "Gingerbread Cottages", built by a group of Methodists that arrived at Oak Bluffs during the late 1800s and who gathered here every summer to hold multi-day religious camp meetings. The candy-coloured houses are built around a concentric circle and elaborately decorated in a style named "Carpenter's Gothic". 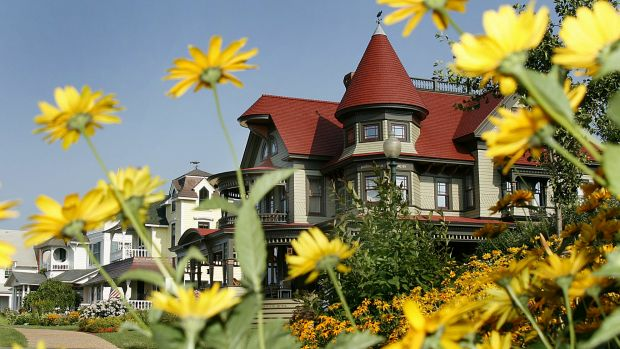 Although they look more like doll's houses in size and statute, the houses are now national historic landmarks and subsequently, very expensive pieces of real estate, often passed from generation to generation. 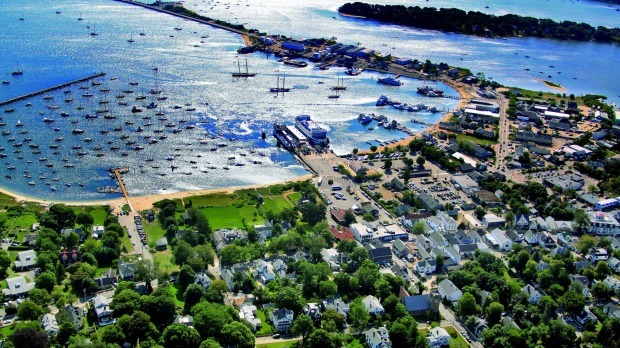 There are plenty of hotels on the island, but a day trip gives you plenty of time to see its greatest hits and catch the last ferry back to the beautiful port town of Woods Hole, Cape Cod, in the evening. It's a fast 45 minutes, which gives you just enough time to enjoy a local beer sold on the boat and soak in a blistering sunset the neighbouring Cape is renowned for. The writer was a guest of Discover New England.